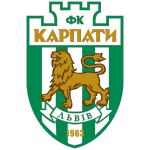 "Vorskla": Shust, Sapai, Dalku, Chizhov, Chesnakov, Perduta, Sharpar, Kravchenko (Sklyar, 80), Kobakhidze (Vasin, 85), Kulach (Serhiychuk, 72), Rebenok. 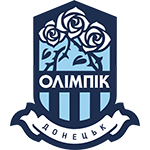 "Zorya": Lunin, Karavaev, Svatok, Checher (Priyma, 70), Cheberko, Opanasenko, Silas (Kochergin, 70), Andrievsky, Iuri (Lunyov, 46), Gromov, Faupala. Booked: Kulach, Rebenok - Iuri, Opanasenko. By the 20th minute of the first half Poltava players and their Luhansk guests have created at least two sharp episodes in the immediate vicinity of the gate. Among the "white-green" activity came from the flanks, where Kobakhidze reigned with the Child. And Kravchenko, who was assigned the less responsible mission of the bearer of shells, did not dare. The acuteness was, with real opportunities everything was more difficult. But on the 31st minute, the child gave Kulacha a pass and a powerful blow that lightningly reacted Lunin. Chizhov was ready for finishing, but the ball did not reach the defender. Subsequently, the child had realistic opportunities to score three times in a row. Lack of luck for success. The degree of the game began to grow immediately with a start-up whistle of the second half. An episode after an episode, then near one, then at the other gate, and accented to break through was not possible to anyone. An energy bomb at the stadium was broken by his excellent execution of the shot exactly in the distant "nine" Vladislav Kulach - 1: 0 !!! 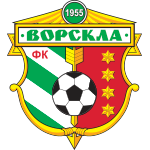 Strike Fawali on the 83rd minute blocked the defense Vorsklyan, and with the blow Gromov almost completely respected Shust. Vasin appeared on the replacement, with a precise blow after the pass Serhiychuk consolidated the "bronze" success of the team Vasyl Sachka. Poltava plunged into the atmosphere of a great holiday, which was awaiting 21 years! Uraaa!